If you want to understand Canadians, you have to understand Ice Hockey. No, not just the game. Everything around the game. The rituals, language, colloquialisms, unspoken precepts, customs, culture and passions that drive the identity and lifestyle around the game of Hockey. It is integrally part of every true ice-blooded Canuck, whether they've ever been directly involved with the game or not. I guess every nation can point to a sport or an activity that conjures up similarities in its ability to define or reflect their identity and culture. Games that come to mind are Soccer in England, rugby in New Zealand or the ancient Mexican game of Ullamaliztli where the victors were sacrificed to the gods. There is something similar, even more universal, ancient to the degree that it is primal, that all people have in common. It is buried so deep in the enclaves of traditional culture that we take it for granted. 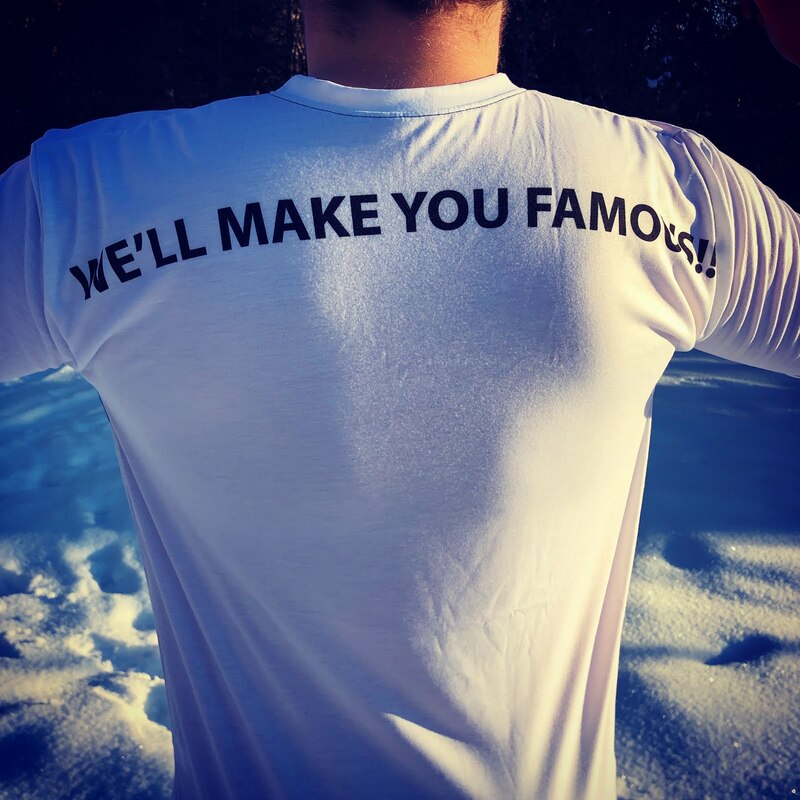 It is what we do. It only comes to the fore when people gather around to cook and share a meal. The food doesn't matter as much as the rituals, customs, precepts, and passions that goes hand-in-hand with eating together. Society developed from this simple ancient act of sharing and reciprocity. It avoided wars because of it and wars we started as a result. Where we come from, we call it "braai". 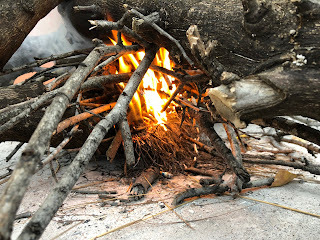 Conventional wisdom indicates that it evolved from the word "braden" (Roast in Dutch) into braaivleis (which is Afrikaans for grilled meat) and then into the verb braai which means “to grill”. The word "braai" forms a proud part of South African slang and today it is used by people of all languages. However, defining the word comes nowhere close to grasping the meaning of the act. The truth is that the act of braai is responsible for more unintended sacrificial destruction of protein than it is for the good practices of proper food preparation. There is a lot more to it. If one wants to understand the concept of braai you have to get a lot closer and look much, much deeper into the psyche of the culture of its origin, the Afrikaner. Books have been written, movies have been made and poetry published about the rituals accompanying the braai. For example, some would swear that a braai without fire is not a braai. A braai doesn't have to include meat. 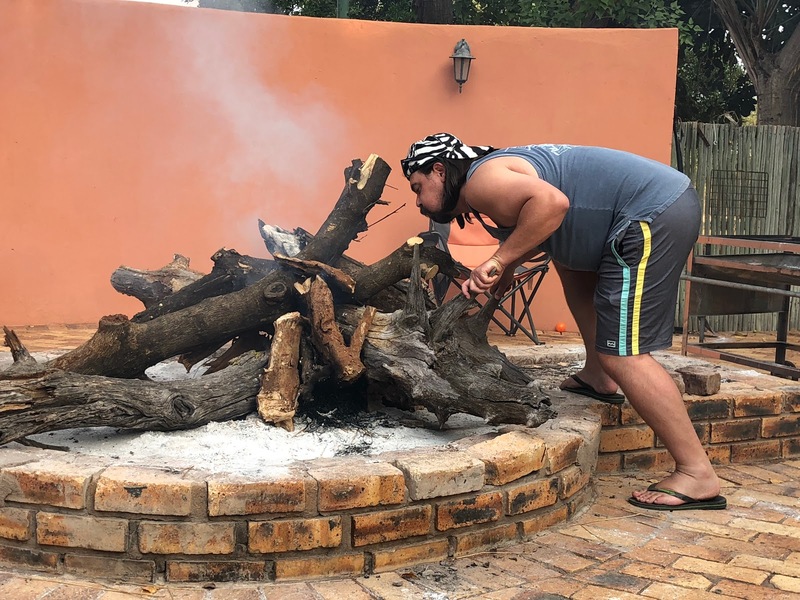 Afrikaners can braai anything and people don't need an excuse for a braai to take place. It happens any time of the day and in any weather. Some do it at -28C in Canada and at +51C in the Outback. There are very specific rules at a braai. For example, you never criticize the person in the act of a braai and never touch his tools. Men tend to keep to themselves and woman do the same until the meal is served. It is an honour to be invited to a braai and it is a disgrace to arrive at a braai without a contribution (never bring chicken!). The following words are forbidden at a braai, "Wanneer gaan ons braai? ", which means "When will the grilling of food commence?". Whichever way you look at a braai, it becomes clear that it is an event that brings people together around the preparation of a meal and the act of sharing food. It is a tradition claimed as part of the identity of Afrikaner. It is their heritage and one of the last bastions of their culture. They will fiercely defend and protect it from outside influence. It is also the first courtesy they will extend to any stranger. "Kom ons braai"loosely translates into "Welcome, pleased to meet you. Let's get to know each other a little better". Oh, yes! It is also about preparing food. The amount of food at a braai is incredible. It is a testimony to the generosity that comes with a nation that has seen its fair share of trials and setbacks. A hardy group of people that are now spread all over the world armed with this one simple authentic act of cordiality. They are showing the world how to braai. The Cowboys will be arriving in South Africa at the end of January 2019 to rediscover our braai roots. 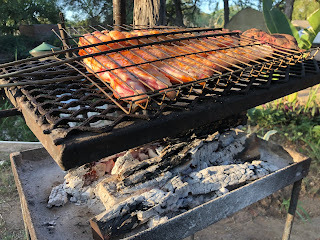 As Afrikaner emigrants, we've taken our braai custom all over the world since we left the country almost two decades ago. The movement of braai has evolved back home. We want to rediscover what it is in South Africa and what it means for its local practitioners. We've certainly adapted and incorporated what we've learned along the way in the countries we visited. Low and slow, smoking, grilling, picanha, brisket, barbacoa, shrimp on the barbie, arepa, and rodizio, to name a few. Braai has and still is playing a role in bringing people together from all corners of South African life and all corners of the world. We want to show the world where it began and we want to show South Africa what we learned in the world. See you on the road. We are coming to a braai near you!